CalState Solar is doing our part to help make the home of Southern California’s largest freshwater lake and the “Dream Extreme City” of Lake Elsinore the green solar power example of Riverside county. The full year-round sun and our warm, arid climate mean that Lake Elsinore is excellent for producing energy for your home with solar panels. Undoubtedly you are probably running up your electricity bill by turning up your AC when it hits 105 degrees outside. Why not benefit from the tax incentives, our diverse financing choices, and utility incentives to power your home for decades to come with renewable solar energy? Is Your Home in Lake Elsinore Solar Power Compatible? It’s easy to spot homes all over Lake Elsinore with solar panels on their roofs because there are so many owners who have seen the value that clean, affordable solar can offer. But what made those homeowners make the switch to the power from the sun? How much does solar cost? Who should I choose to install my solar? Let’s be honest with each other; there is NO WAY SCE (Southern California Edison) is going to stop raising power rates each year and what will you be paying in 10 years, 15 years? Switching to money-saving solar panels delivers lots of value for not only your home but your bank account. The Lake Elsinore area has quickly grown to one of the fastest growing cities in CA, and real estate values are rising which makes solar a good way of improving your home’s value. Example: Installing a 5kW solar panel system can add on average $20,000 ($4 x 5,000W =) $20,000 to your homes property value. Roughly each watt of solar power adds about $4 to a home’s value in the state of California. Why Hire A Local Lake Elsinore Solar Contractor? Whether you live near the Lake Elsinore Diamond Stadium, off of Lakeshore Dr., The Outlets near Terra Cotta, Tuscany HIlls or in Canyon Hills off of Railroad Canyon CalState Solar is the best Lake Elsinore solar installer. CalState Solar has been helping Lake Elsinore solar clients for years. We are located just West of the I-15 freeway in Temecula not far from your home. When you hire a local solar power company, more of your hard earned money remains right here in our area, and of course, that helps everyone. 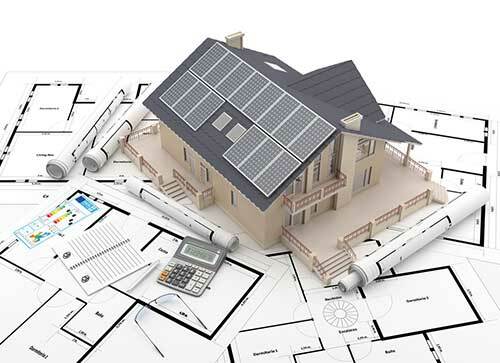 We are a top sub-contractor for many of the prominent solar businesses in CA so you can trust us to not only help you choose the right system but complete your solar installation on time and trouble-free. CalState Solar works all areas of Lake Elsinore from Country Club Heights to East Lake to Ballpark to Alberhill to East Lake to Country Club Heights to Lake Edge to Lake Elsinore Hills to Lake View to North Peak and the Riverview Districts.